At interactive360, we want to help our clients capture new and exciting angles to help them showcase their facilities and services in a new light. 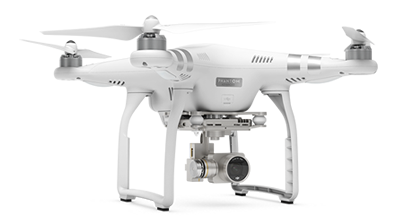 With our drones we can help you capture things from a new perspective that you could only dream about before. Whether you need aerial images, video, or even a 360° view we have you covered. Our drones utilize GPS, the latest high definition cameras, and a stabilized gimbal, which allows us to capture stunningly clear high resolution video, photos, and 360° views regardless of wind conditions and movements of the drone. Our aerial services can be captured from altitudes anywhere from 2 to 200 feet AGL (Above Ground Level) per FAA guidelines. The uses are endless, so let us know what you have in mind and we setup a solution. Help your viewers get a birds eye view of your location. Whether that is simply to show the appeal of your facilities and grounds or to incorporate embedded content. Aerial virtual tours are a great way to indicate location of buildings, proximity to landmarks, as well as highlighting other interactive content. Compared to traditional methods of capturing aerial images our drone services can enhance your virtual tour in a cost effective manner as well as provide aerial 360's that until recently was nearly impossible. Compared to your competition your facilities and services will be stuck in your target markets mind as a result of the unique aerial experience they viewed. When people see something new and different it's hard to forget it. First impressions are lasting whether they are good or bad! Helping Your Target Market Gain New Perspectives! interactive360 has received the required exemption from the FAA to use our Unmanned Aircraft System (UAS / Drone) for commercial purposes. The FAA does not permit hobbyist or those without an exception to use their UAS for commercial purpose or hire. Although, interactive360 has an exemption we still must follow strict guidelines on when, where, and how we use our UAS.